Once you arrive at Narita Airport, you can exchange your Japan Rail Pass voucher for the actual Pass at a JR Ticket Office. Don’t forget to reserve your seat on the next Narita Express train headed to Tokyo. The one-way ride takes about an hour. Mount Takao offers a number of hiking trails (with varying levels of difficulty) through the mountain’s wooded areas, passing by a temple, a museum, observation spots, a waterfall, a suspension bridge, and more. The most popular trail for beginners, the Omotesando Trail, takes about two to three hours to complete. Using your JR Pass to get to Mount Takao, you can go as far as Takao Station. Then, you need to transfer to the Keio Line to Takaosanguchi Station (one-way ticket costs 130 yen). The one-way trip takes about 45 minutes. To save on transportation costs and give your heart, lungs and muscles some great exercise, tour Tokyo by bike. There are hotels and hostels that offer their guests free bikes to use, and there are also rental companies that rent their bikes out for about 2,000 yen for three hours of use. You can spend the whole day checking out Tokyo’s historical and cultural sites, starting in Asakusa, where you can find the Sensoji Temple. Then, head to the Imperial Palace and explore the Imperial East Gardens and surroundings. Having built up an appetite, stop at the Tsukiji Fish Market next for a hearty lunch of fresh seafood and other local specialties. In the afternoon, roam around Akihabara and shop for video games, manga, action figures and electronic gadgets. After a couple of hours, go to Ueno and visit the Ueno Zoo and some of the museums there. Take a short break at Ueno Park before heading out to cycle along the Sumida River and enjoy the beautifully illuminated Tokyo metro skyline at night. 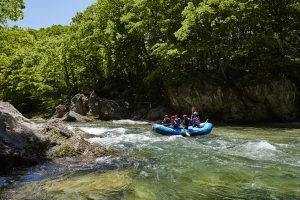 On your fourth day in Japan, spend the morning canyoning in Okutama, which is a town tucked in the mountains, about a two-hour train ride from Tokyo. It is an excellent destination for canyoning, as it has steep cliffs and canyons, rivers and lakes. In the afternoon, you can go back to Tokyo for more sightseeing, particularly in Odaiba, known for its entertainment and shopping establishments, or in Ryogoku, to watch a sumo match and learn about the sport’s history and traditions by visiting some sumo museums. About four to five hours by train from Tokyo, Hakuba is a town in Nagano Prefecture that is popular for its ski resorts. From Tokyo Station, take a Shinkansen to Itoigawa Station, where you must transfer to the JR Oito Line headed to Minami-Otari Station. Then, take the Ltd Exp Azusa Line to Hakuba Station. Whatever the time of year, Hakuba always has a range of outdoor activities to offer its guests. In winter, it becomes covered in fine powdery snow, making it an excellent place to ski and snowboard. It also is home to many onsen. The rest of the year, it offers great spots for everyone to enjoy various outdoor activities such as mountain biking, para-sailing, para-gliding, hot air ballooning and canyoning. 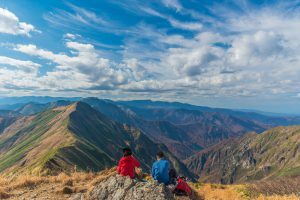 With one more day in Hakuba, you can enjoy other fun outdoor activities such as white water rafting, canoeing, kayaking, mountain trekking, mountaineering, rock climbing, camping, hiking, onsen retreats, fishing, wakeboarding and windsurfing. Another famous resort located in Nagano Prefecture, Kamikochi is home to spectacular scenery of the majestic mountains and thriving forests in the Northern Japan Alps. From Hakuba, Kamikochi can be accessed via Matsumoto. Take the Ltd Exp Azusa Line from Hakuba Station to Matsumoto Station, and then hop on the Matsumoto Electric Railway to Shin-Shimashima Station (not covered by the JR Pass), where you must catch a bus to Kamikochi. The whole one-way journey takes about three hours. 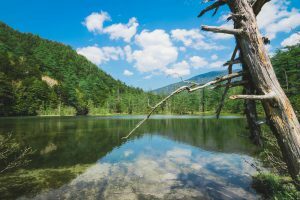 Kamikochi is a part of the Chubu Sangaku National Park, which contains lots of interesting wildlife, plants and trees, and has many hiking trails that follow the Azusa River. You might run into some monkeys, birds, or even a bear. 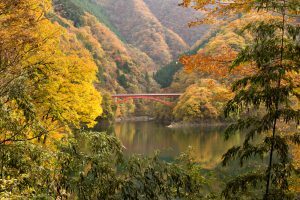 Many of its attractions, such as Taisho Pond, Tashiro Pond, Takezawa Marsh, Myojin Pond, and Kappa Bridge get quite busy during the autumn foliage viewing season and the summer holidays. A hot spring resort in the mountains of northern Gunma Prefecture, Minakami offers high quality baths and outdoor sports options. 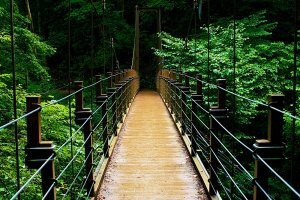 Travel between Kamikochi and Minakami takes about five and a half hours via Matsumoto. From Matsumoto Station, take the Ltd Exp (Wide View) Shinano Line to Nagano Station, and then transfer to a Shinkansen to Takasaki Station, where you have to catch a JR Joestu Line train to Minakami Station. 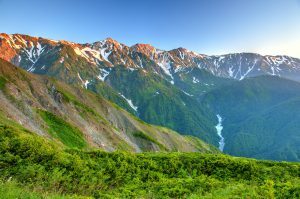 Located on the border of Niigata and Gunma Prefectures, Mount Tanigawa is a rugged 2,000-metre high mountain in northern Minakami. It is popular among climbers and hikers who want to challenge themselves with rough terrains and steep slopes. It also has easier trails for beginners and casual hikers. It is open for hiking from July to November, when the trails are not covered with snow. In winter, it operates the Tanigawa Ropeway, which takes guests to the Tanigawadake Tenjindaira Ski Resort, located about halfway up the mountain. There are several companies that offer outdoor activity tours in Minakami. In winter, they welcome new and experienced skiers and snowboarders and, during the rest of the year, they offer whitewater rafting, canyoning, mountain biking, hiking and bungee jumping tours for about 4,000 yen to 9,000 yen for a half-day activity and around 10,000 yen to 15,000 yen for a full-day. Takumi no Sato is a small village surrounded by rice fields, fruit orchards, and the mountains of Minakami. It offers a range of arts and crafts workshops where you can make your own soba, lacquer and washi paper, and learn skills such as bamboo weaving, glass etching, indigo dyeing, and painting. From Minakami Station, take a bus to Jomo Kogen Station and then transfer to another bus going to the Takumi no Sato stop. The total cost one-way is about 1,500 yen and takes approximately 45 minutes. The trip back to Narita Airport from Minakami takes about four hours. From Minakami Station, board a JR Joetsu Line train to Echigo-Yuzawa Station, where you must transfer to a Shinkansen going to Tokyo Station. At Tokyo Station, find a JR Ticket Office to get a seat reservation on the next Narita Express train to take you to the airport.